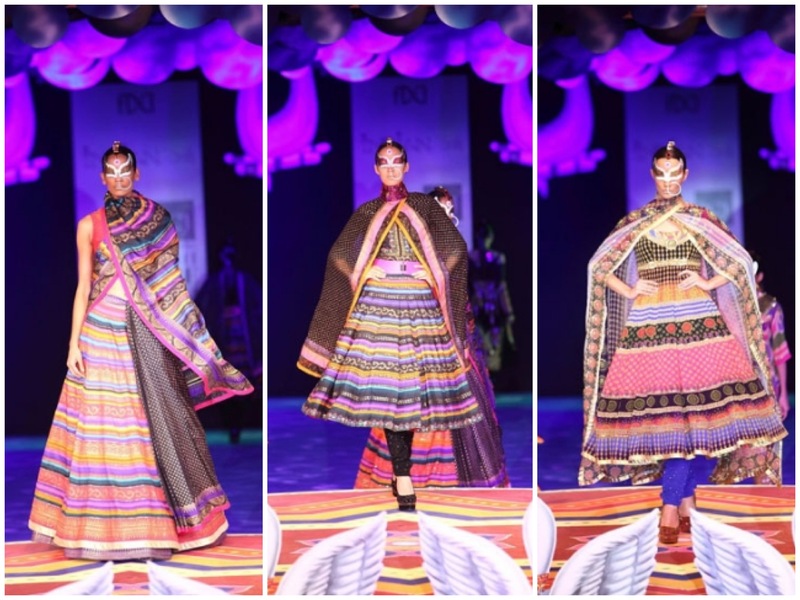 Ritu Beri went overboard at Delhi Couture Week. 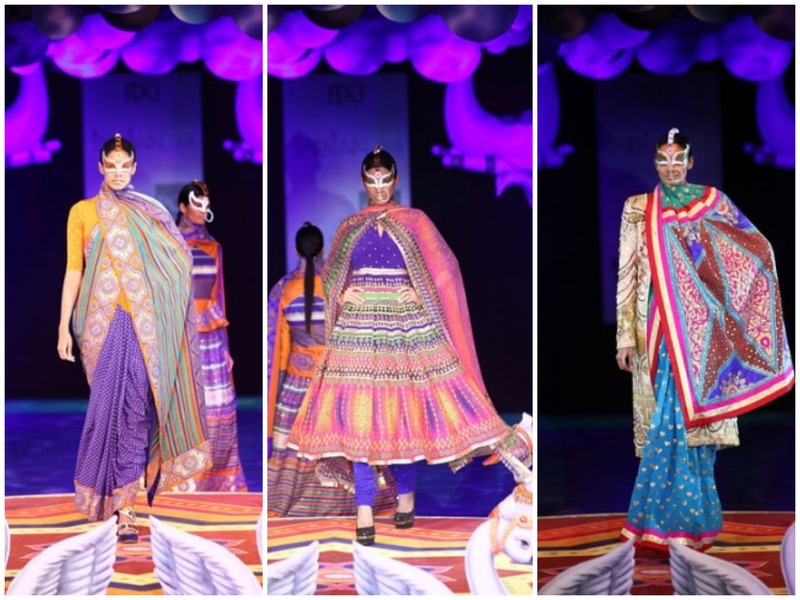 Her collection was much costumes than ready to wear. 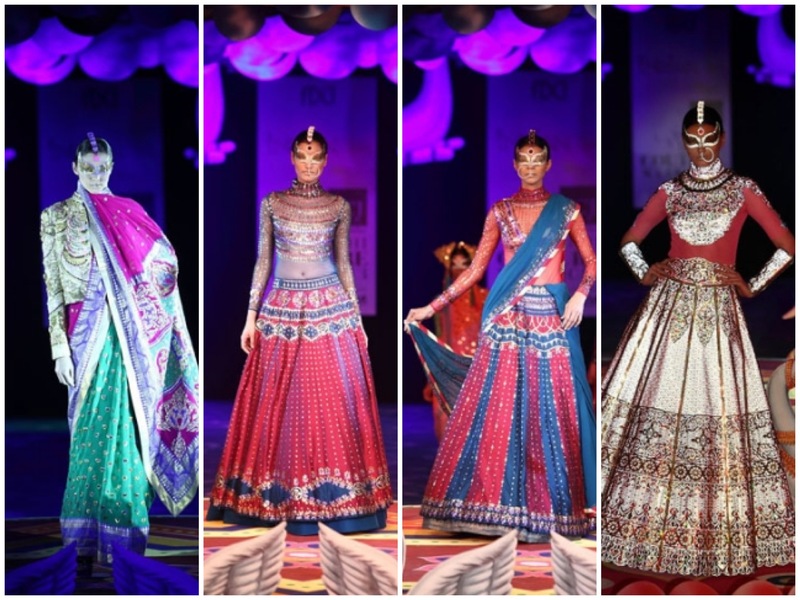 Models were trapped in towering cages of fabric, so heavy that they could have collapsed. 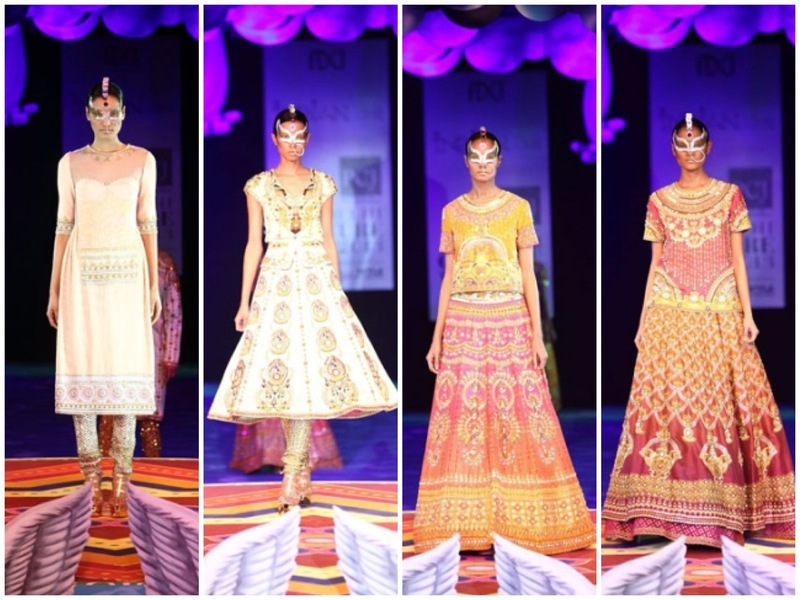 I’ve seen better collections from Ritu Beri. 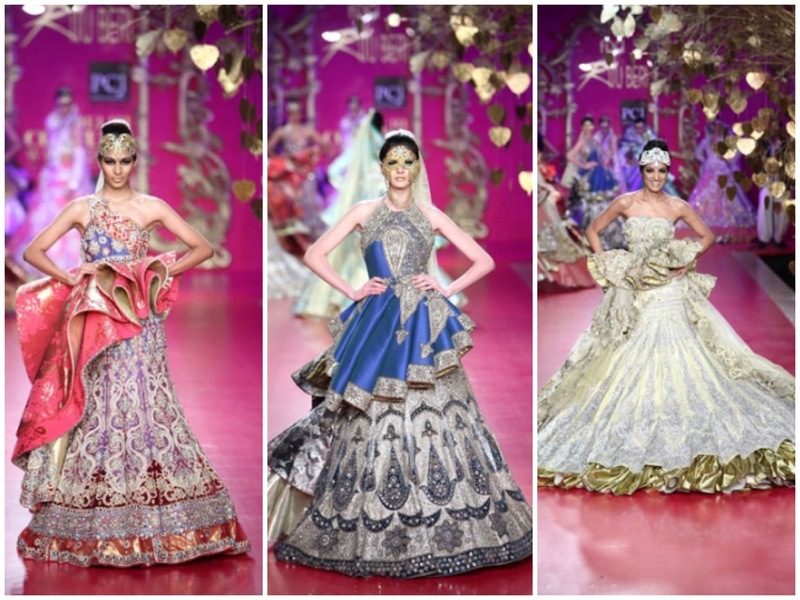 I just don’t think this was quiet the right collection for couture, could have been more toned down. 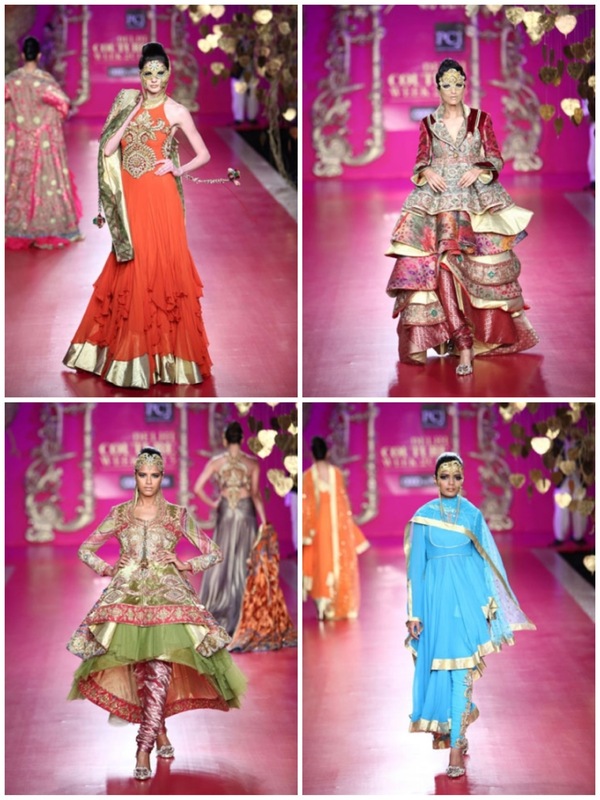 Manish Arora’s collection was one of my favorites from couture week. 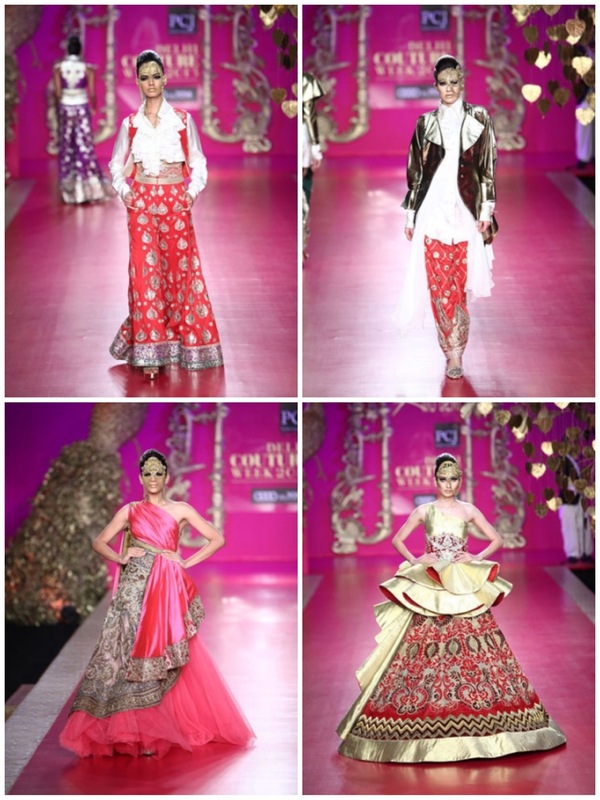 He thought out of the box and modernized the Indian wedding wardrobe. 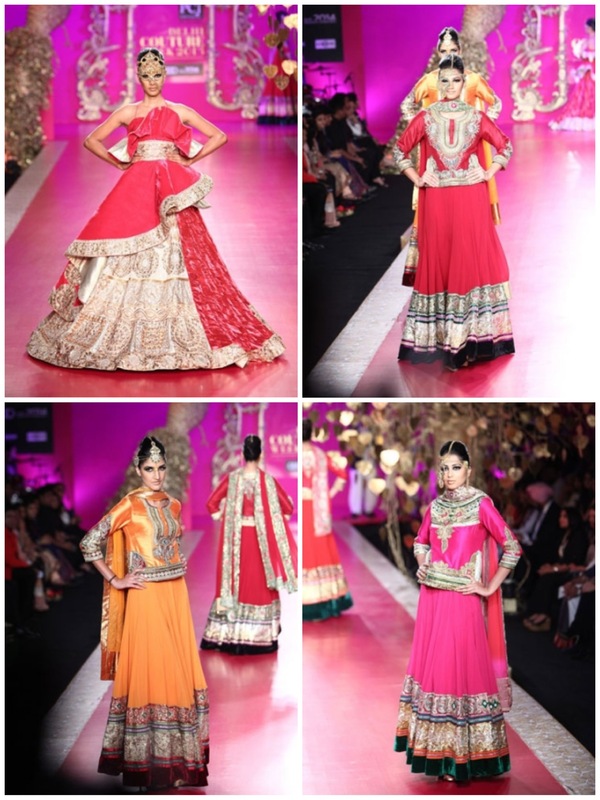 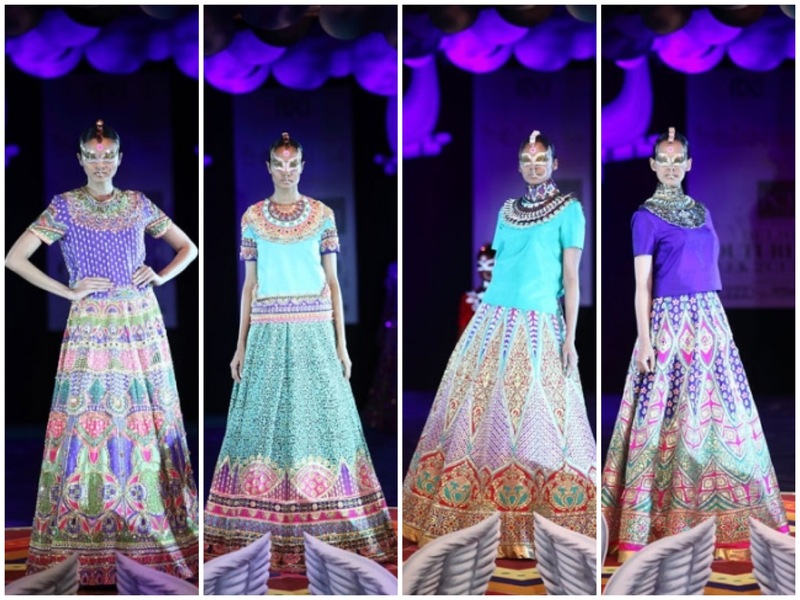 The lehengas and saris were inspired by prints from Buddhist temples, paired with neon-hued blouses.